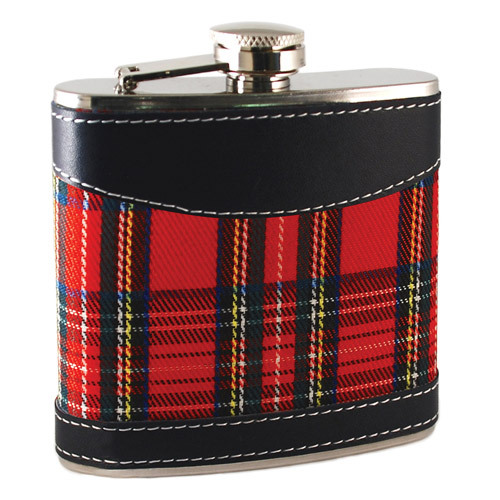 Keep your drink within reach with this plaid flask from True Fabrications. It features a durable polished steel construction with a red and black faux leather and plaid design. This flask sports a screw top lid, and includes a funnel that makes filling easy. The thin profile makes this flask perfect for storage and travel, and it includes a manufacturer's limited 10 year warranty.